Given that the home team had to win to stay in the tournament and the away team wanted to win to conclude the series there and then, this was always going to be a game that was jam packed with incidents. This was a basketball match that swung back and forth and in the end, it took a record breaking performance from the home team to breathe new life into this Playoff series. This result means that we move on to Game 4 in Athens on Wednesday night and the scenario going into this match remains the same as the scenario we had going into the Monday night game. CSKA Moscow knows that a win will secure the series and take them into the Final Four in Madrid. Panathinaikos know that if they want to remain in the series and have a chance of making it through to the Final Four, they need to win this game. In that respect, nothing has changed, but there may be psychological changes after the game on Monday. 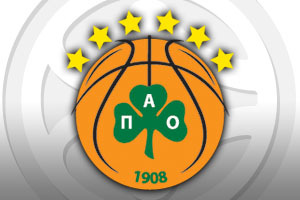 Panathinaikos know that they can defeat their opponents, which may provide them with added mental strength and tenacity. However, there is also the fact that CSKA Moscow know that while one of their chances to win the series has been passed up, they have another chance to do so. They even know that if things go against them on Wednesday night, they will have an additional chance if they need to take it. As good as it is to win in front of your own fans though; CSKA Moscow will be looking to make the most of the chance of getting some Euroleague rest before heading to the Final Four. There were a number of scoring runs in the game with the home team grabbing the first 5 points of the game and the opening 7 points of the second quarter. This was bettered by CSKA Moscow grabbing the next 12 points of the first quarter and the next 10 points of the second quarter. With respect to the flow of the game though, the 21-4 scoring run which straddled half-time was the key element that put the hosts in charge. Panathinaikos held a 10 point lead with less than 5 minutes to go, the score standing at 71-61. At that point, some teams would settle back and look to the next game but CSKA Moscow pushed on. Sonny Weems delivered 11 points in 3 minutes and Kyle Hines levelled the game with 4 seconds to go. There was a final twist in the tale though as Weems fouled Nikos Pappas and it was down to Pappas to take the free throw and decide the game. 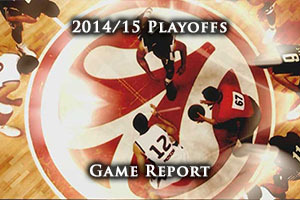 Pappas grabbed 25 points over the course of the game and Antonis Fostis offered up 12 points. Dimitris Diamanditis offered 15 points and 7 assists while James Gist offered 11 points for the winners. CSKA Moscow were boosted by Weems grabbing 24 points (with 24 points in the final 7 minutes and 25 seconds, while Milos Teodosic offered 12 points and 9 assists. Andre Kirilenko offered up 11 points and Nando De Colo and Hines both provided 10 points for the losing team. The two teams go again on Wednesday night in Greece and although technically not much is different from the situation on Monday, there have been some big changes in this series since then.